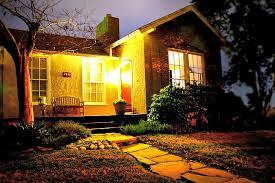 A country home is one of those real estate properties that everyone wants to have. Unfortunately, not everyone has the financial capability to buy or build a country home. If you are one of those people who have been privileged enough to own a country home, then congratulations are in order. Is renting out your country home going to be a positive benefit for you and your family? Study the financial aspects of this business by weighing in what you would potentially earn against any costs that you may have to spend for (home repairs, mortgage payments, maintenance, etc.). You can ask for the help of rental agents to help you assess how much you should be renting out your home. If your country home is still under mortgage then you should talk to your mortgage agent first. This is an important step because they should be informed about your decision to let. Make a formal request to rent out your home and explain why you want to do so. Mortgage lenders will generally approve these requests and not even sell you a different financial deal on your home. For example, a buy to let loan that is usually offered by lenders if they find out that a mortgaged property is going to be rented out. But if the mortgage lender refuses you can complain to the Financial Ombudsman. This is probably the most important thing you need to do. Getting a landlord insurance will ensure that you are financially protected for many things that happen to your country home while it is rented out. For example, any damage to the property is covered by landlord insurance, and even the cost of legal fees in the event you need to bring your tenant to court, or vice versa. Landlord insurance is different from homeowners insurance so don’t think that you can forget about getting landlord insurance since you already have a homeowners insurance policy for your country home.